Ookla®, the global leader in internet testing and analysis, has named Ooredoo the Fastest Mobile Network in Oman for Q1–Q2 2018. To determine this award, Ookla analysed consumer-initiated tests taken on Speedtest® using modern devices across all major operators in the country. 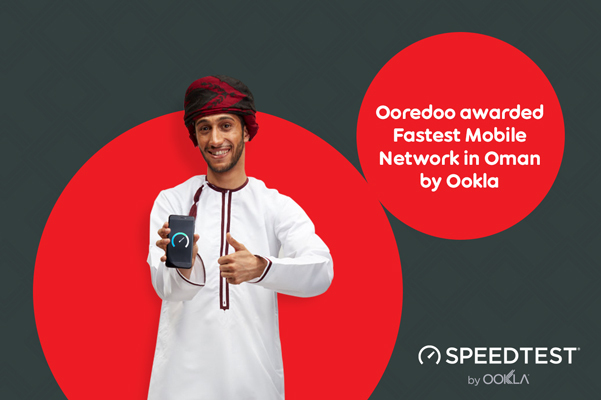 The results of the analysis by Ookla confirm that Ooredoo achieved the fastest overall mobile speeds in Oman during the time period. “With millions of tests taken using Speedtest every day, Ookla has developed a robust and comprehensive view of worldwide internet performance. It is our pleasure to recognize Ooredoo as the Fastest Mobile Network in Oman based on our rigorous analysis. This award is a testament to Ooredoo’s exceptional performance, as experienced by their own customers, in Q1 and Q2,” said Jamie Steven, Executive Vice President at Ookla. The Speedtest Awards for top providers in speed are determined using a Speed Score™ that incorporates a measure of each provider’s download and upload speed to rank network speed performance. Tests used to calculate the Speed Score exclusively come from ‘modern devices’, which are devices capable of connecting to the market’s fastest, generally available technology. Ooredoo’s Speed Score during the award period was 28.23. Omani Qatari Telecommunications Company SAOG (“Ooredoo”) was founded and registered in the Sultanate of Oman in December 2004. It launched its service in March 2005 as the challenger mobile operator in Oman, originally operating under the name Nawras. The Company was awarded the second fixed license in Oman in 2009, and launched its international gateway in April 2010, its corporate fixed and broadband services in May 2010, and its residential fixed and broadband services in June 2010. Since 2010, Ooredoo has been an integrated services telecommunications operator and is currently serving over 3 million customers across the Sultanate. Following a successful IPO on 1 November 2010, Ooredoo is listed on the Muscat Stock Market (MSM) under the “ORDS” ticker. Ooredoo is majority owned by Ooredoo Q.S.C. and also has a number of significant Omani shareholders which ensures that the company is strongly integrated into the Omani society. 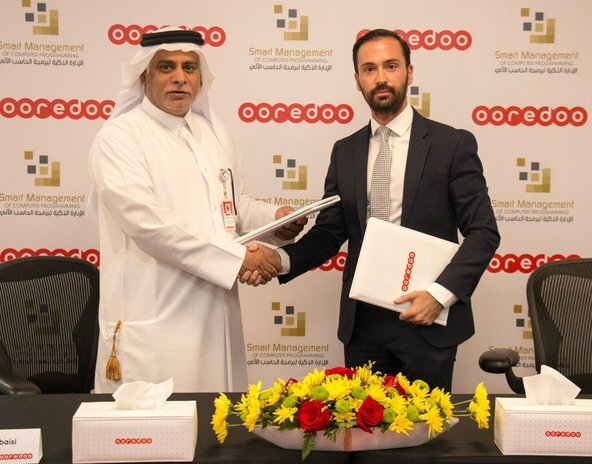 Ooredoo has won a number of awards including the CommsMEA award for Middle East Mobile Operator of the Year 2015 and Best Telecommunications Company at the Arab Achievement Awards 2016, International Finance Magazine’s Most Customer Friendly Telecommunications Provider 2017 and Best Digital Experience at the Customer Experience Management in Telecoms awards 2017. Ookla, the company behind Speedtest, is the global leader in fixed broadband and mobile network testing applications, data and analysis. Over ten million tests are actively initiated by consumers each day across all Speedtest platforms, with over 20 billion completed to date. As a result, Ookla has the most comprehensive analytics on worldwide internet performance and accessibility. Ookla solutions have been adopted by a significant number of internet service providers and mobile carriers worldwide and have been translated into over 30 languages for use by thousands of businesses, governments, universities and trade organizations. Ookla's headquarters are located in Seattle, WA with additional offices in Dublin, Ireland. Learn more at www.ookla.com.